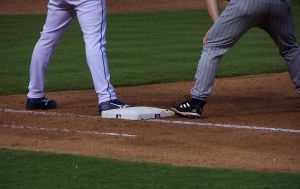 Stealing first base isn’t a crime, but taking another person’s property is. Theft crimes can range from minor crime to more major criminal charges. A Jacksonville FL petty theft charge is a misdemeanor offense. Petty theft can be a first-degree misdemeanor or a second-degree misdemeanor depending on the value of the property taken. If the property is valued at $300 or more, this is Jacksonville FL grand theft. Grand theft is a felony. As a felony, you could become a convicted felon and lose certain rights. Even worse, grand theft can result in a prison sentence. Whether you are convicted with petty theft or grand theft, your drivers license could be suspended. This is true even though stealing has nothing to do with your Florida drivers license. Read Jacksonville Drivers License Suspended for Theft for more information about a Florida drivers license suspension based on theft. Florida theft crimes include more than petty theft and grand theft. Jacksonville burglary often includes some kind of theft element. When someone is charged with burglary, they are usually accused of stealing property from a house or conveyance. Jacksonville dealing is stolen property is also a theft-related crime. As a Jacksonville criminal attorney, I find that most dealing in stolen property charges are accompanied by grand theft or burglary charges. If you are under investigation or charged with theft, contact 20 Miles Law to talk to a Clay County attorney about your case. You are not alone. A Florida attorney can help you. While you may feel embarrassed, there are other people with the same problem. Call 904-564-2525 to talk to a Clay County lawyer about your situation. The Florida Times Union publishes a report of recent Clay County theft crimes. This includes Orange Park and Green Cove Springs. Here is the report, but you may also visit Jacksonville.com for the entire article and other information about local crimes.